Cielito Lindo is a popular traditional song of Mexico and is often used by tenors on opera aria concerts or as an encore. 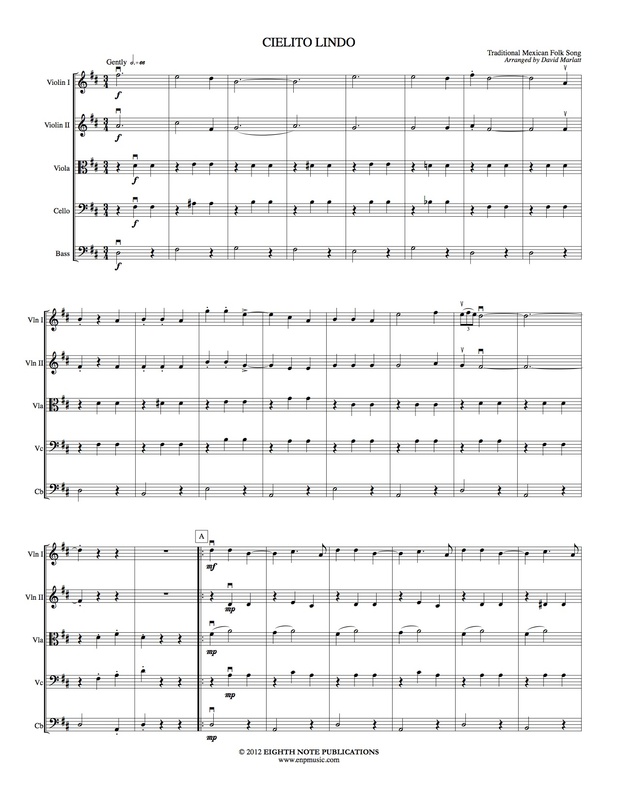 In this arrangement, the violins and cellos each get a chance at the melody. This is a great audience pleaser.